The RealReal opens a permanent store in NYC — Circle Visual Inc. The RealReal opens a permanent store in NYC and Circe Visual was on point to create custom displays for their jewelry and accessories. Check out the new store in Soho. Opening in New York on Friday (November 10th), the shop will feature over 400 new pieces every day, as well as valuation services, drinks and monthly installations from outside partners. 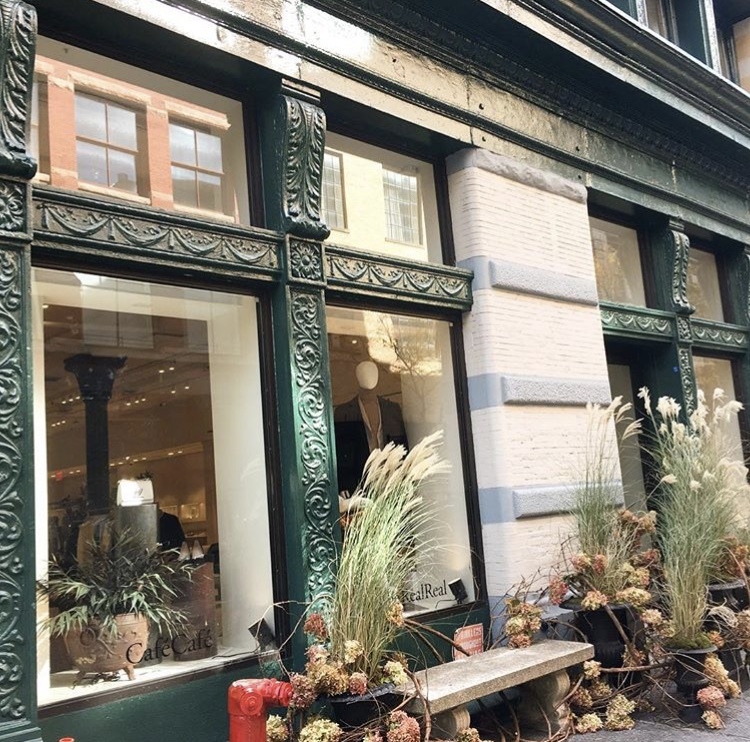 NEW YORK, United States — Almost one year after opening its first pop-up in Manhattan during the holiday shopping season — which clocked $2 million in revenue in 2 weeks — the luxury consignment site The RealReal is back in Soho with its first permanent retail and consignment space, opening Friday on Wooster Street. Founded in 2011 by Julie Wainwright, The RealReal has raised $173 million to date in a race to dominate the growing re-commerce market. Its most significant competitor, France's Vestiare Collective, has raised nearly $125 million. The RealReal plans to pay its consignors — who keep almost 70 percent of the sale price of their luxury items — about $300 million in 2017. Designed by Courtney Applebaum, known for her work on The Row’s stores, The RealReal’s New York location will feature 400 to 500 new items (including fashion, home goods and more) each day, thanks to a close proximity to a New Jersey warehouse. Since all items on display are also available to shop online, sales associates will be able to temporarily scan items that customers are interested in and remove them from the site. Wainwright says the permanent store will feature a higher-price item mix than last year’s pop-up (example: more Birkins). “The mix in the store when we first opened the pop up was reflective of what New Yorkers buy online; it wasn’t necessarily reflective of what they want to buy in the store,” she says. The store will also specifically cater to men, who represent 25 percent of sales, with a sneaker wall complete with a ticker tape of styles and prices. In order to attract new consignors and bring in more inventory — a key part of maintaining growth in a competitive consignment market —the store will also include “elegant” waiting and meeting spaces where consignors can meet with experts and get quotes on their pieces, as well as attend workshops. Currently, The RealReal has seven other valuation offices around the country to connect consignors with their on-staff gemologists, horologists and authentication specialists. The store won’t only focus on reselling: it will also feature a coffee bar with wine and whiskey, a fresh-cut flower stand and a newsstand with magazines and books. And each month, TheRealReal will host a different installation of product curated by an outside partner, starting with an edit of pieces from the inventory by InStyle’s editor-in-chief Laura Brown in November, followed by a holiday gift edit from Vanessa Traina and Allee Goldstein of The Line. "We really wanted to create an environment that was very comfortable," says Wainwright. "It will keep [it] alive and changing."